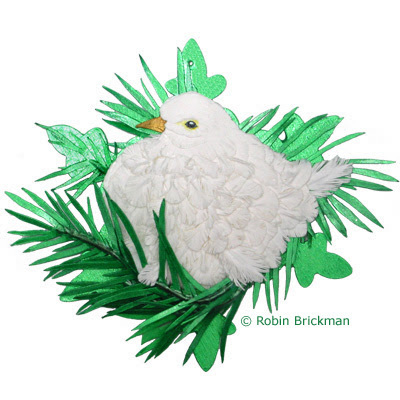 This is a 2004 snowflake created by Robin Brickman for the Robert's Snow auction to benefit the Dana Farber Cancer Institute. Beautiful cause with the snowflakes and by next year I hope my blog is more prepared for such great causes. Love your blog and am linking it to a relatively new book review blog I have. Hope you will visit. Thanks, Lucy - I hope that we will be able to do this again next year - it sure is a lot of fun, plus what a great way to find so many wonderful book (and other) blogs! Thanks for stopping by!